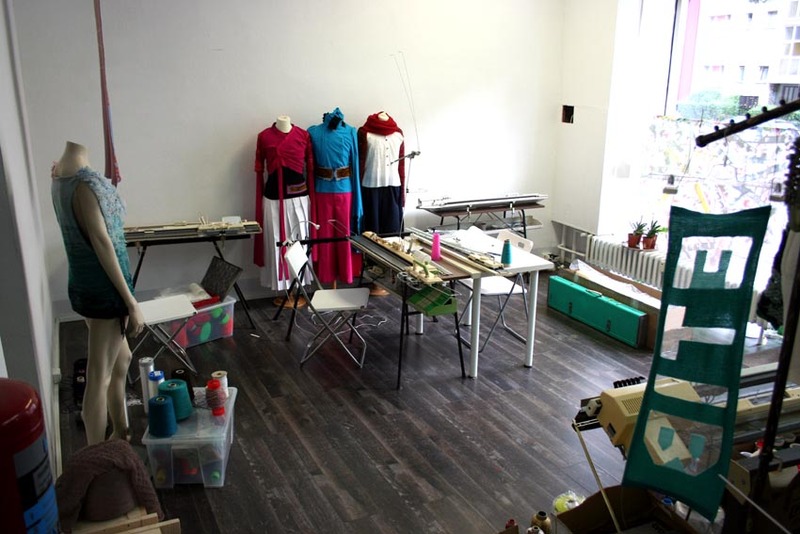 We are makers, tinkerers, knitters, textile manipulators, programmers, diy and fun loving people and opened ETIB in Autumn of 2011 to offer a place to meet, make projects and work. Berlin is a great and creative city and we are situated in colourful Wedding, slightly north of Mitte within easy reach of public transport. Currently our members are Kristine (knitwear designer) and Victoria (shops: redpinkgreen vlp-designs, blog vlp designs) Masters Diploma. Former artists in residence include fbz/Fabienne Serriere, Asuka Miyata, Calvin Stalvig, Racheel Eberle, Jack Randol, Jeff Donaldson, Lee Joon Seung, Jesse English, Mariko Kosaka and Tiffany Huang. We are open to new members and projects and offer space rental as well as workshops. Please contact us, we would be happy to hear from you! Hi Fabrienne, Joon & Victoria! ETIB is such a great place, congratulations on the success of your hacker space. I would like to present a workshop on patternmaking, and my husband (Steve Conklin – you might know of him) would like to present a workshop on reverse-engineering. Please let me know if you are interested, and if so what arrangements are required. Steve & I look forward to visiting ETIB, with or without the workshops.